I sat on this review for a few days because I had to. The iCitizen app has changed me, and changed the way I think about how I get my news. iCitizen is a revolutionary way to look at politics by completely dissolving any polarization, so much so that you feel empowered. The iCitizen app has done something here that hasn't been seen in decades; it provides you accurate and up-to-date news coverage without a bias or slant. Whether it's local, State, Federal, or World news, iCitizen will give you all the information and that is it. It has no hidden agenda, no underlying political motivation, just the straight facts to allow you to make an educated and informed opinion. iCitizen is more than just a news app, integrating some great customization and statistical information. Follow the political issues you care about by simply adding the topic to the My Issues section. Now your iCitizen feed will contain everything you are passionate about. You can even take part in polls on whatever topic you are passionate about, and the results will be displayed in a color coded map of the United States. The layout is really self-explanatory and simple to understand. The potential of how accurate these results can be is based on the number of users, but even on a newly launched app the results iCitizen displays is very impressive. By breaking the results down state by state you see a reflection of how the country feels in a much more personal way than the Gallup numbers ever will. iCitizen even allows you to get in touch with your Representatives at any time. By selecting your City and State the Reps selection in your iCitizen app will populate with all the contact information for the elected officials in your area. This is great when you would like to raise an issue, and by using iCitizen you can include the in-app poll results to support your statement. Now you would think with an app that revolves around politics and is this interactive it would be filled with idealistic fighting. Surprisingly, it's not. 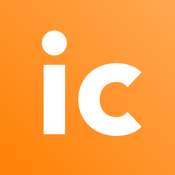 As interactive as iCitizen is there is no chat function or place to post any opinions. All of your voting and usage is anonymous, which is a welcome and refreshing change. Finally you have a place to get your news and express your opinion without being smacked down for it. I cannot recommend the iCitizen app enough because the more of us who use it, the more accurate the results will be. By all of us utilizing this app correctly it could quickly become as essential and reflective as the Gallup poll. iCitizen is a revolution in the form of a news app. It's simple, it's fun, and it has the potential to truly reflect what is going on politically in the country. Matthew MacCallum is an award winning filmmaker, screenwriter, actor, and comedian. He is a lifelong Apple products user and has vowed never to seek help for his App addiction.